After a brief lull, rains started lashing several parts of Kerala since Sunday morning, posing problems to relief work by multiple agencies in flood and landslide hit regions. 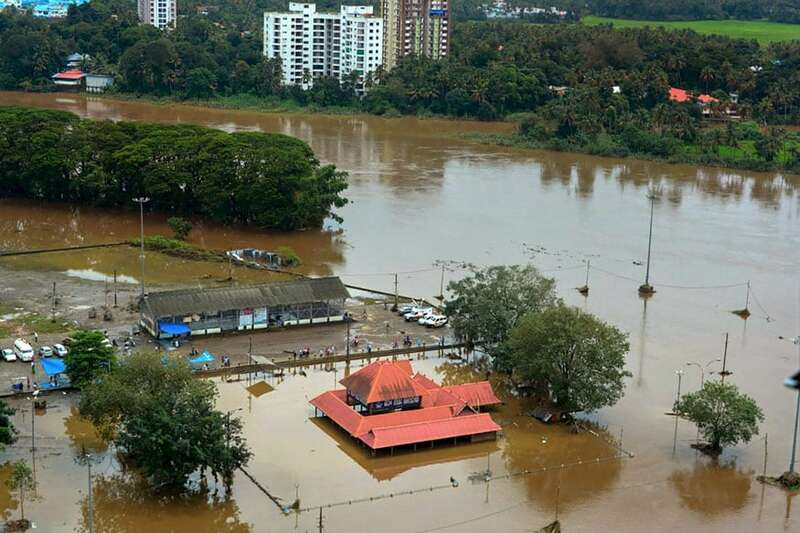 Kochi: Union Home Minister Rajnath Singh, who made an aerial survey of the flood-ravaged Kerala, said the Centre would stand by the state government and provide an immediate relief of Rs 100 crore to the state that has estimated its damages at Rs 8,316 crore. After surveying the flood-affected districts, Singh said the situation in Kerala was “very serious”. Singh wrote on Twitter, "I understand the suffering of the people of Kerala due to this unprecedented crisis. Since assessment of damages will take some time, I hereby announce immediate relief of additional Rs 100 crores." "In order to supplement the efforts of the state government, just before leaving for Kerala I have approved the release the second installment of Rs 80.25 crore in advance for the SDRF," Singh added. The Home Minister said that the Pinarayi Vijayan government has submitted a memorandum citing Rs 8,316 crore losses and sought an assistance of Rs 1,220 crore. Vijayan issued a statement on Twitter saying, "The impact of the disaster is likely to be felt for a long time. Preliminary assessment indicate that nearly 20000 houses have been fully damaged and nearly 10000 km of state PWD roads damaged. The preliminary loss is around Rs 8316 crore." He added, "CM informed that a detailed memorandum will be submitted as soon as the assessment of the damages is completed. State Government would request the Union Govt. to declare the calamity as that of 'rare severity’ and provide the required funds and assistance." Rajnath Singh on Sunday addressed affected people at a relief camp at Elanthikkara in Paravur Taluk in Ernakulam district. "Today we conducted an aerial survey of flood affected areas with the Chief Minister and I reached the conclusion that the situation is very serious in Kerala due to floods," he said. 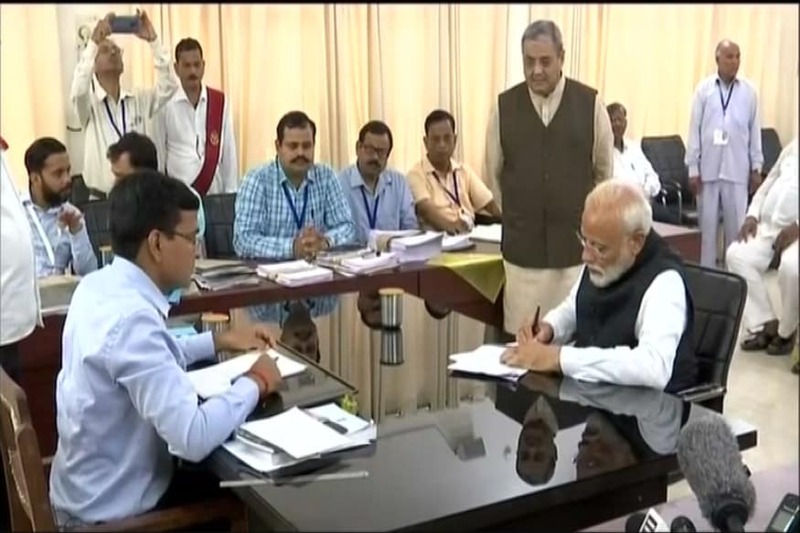 "And I would like to assure the state government that all sorts of support will be provided by the central government to meet the challenges of the flood situation," he said. Earlier, Singh, on his arrival here, held a brief meeting with Vijayan, the Revenue Minister, Agriculture Minister V S Sunil Kumar, Water Resources Minister Mathew T Thomas and Chief Secretary Tom Jose at Cochin International Airport. No fresh casualties were reported since Saturday and the toll in the rain-related incidents since the current monsoon fury from August 8 stood at 37, officials said. Water level in Idukki dam, the biggest arch dam in Asia, which was opened after a 26 year gap, marginally declined to 2399.16 feet at 10 am on Sunday, after hovering close to its maximum of 2,403 feet in the past few days, officials said. There was a brief respite from the rains on Saturday in several parts of the state, but the fresh heavy downpour was making relief works difficult now, authorities said. The National Disaster Management Authority had on Saturday warned that heavy to very heavy rains were expected in 16 states, including Kerala, till Monday. The weather department has issued a 'Red alert', asking people to be cautious as there was a possibility of heavy to very heavy rainfall in most places in Idukki, Wayanad, Kannur, Ernakulam, Palakkad and Malappuram districts.